Perhaps the licensing fees for Syfy’s new based-on-an-existing-property show 12 Monkeys are a little steeper than the network expected, because it just began developing a show that it wants to assure you is not based on any existing intellectual property rights. Deadline reports that the channel is prepping 51st State, a drama about a futuristic prison society. 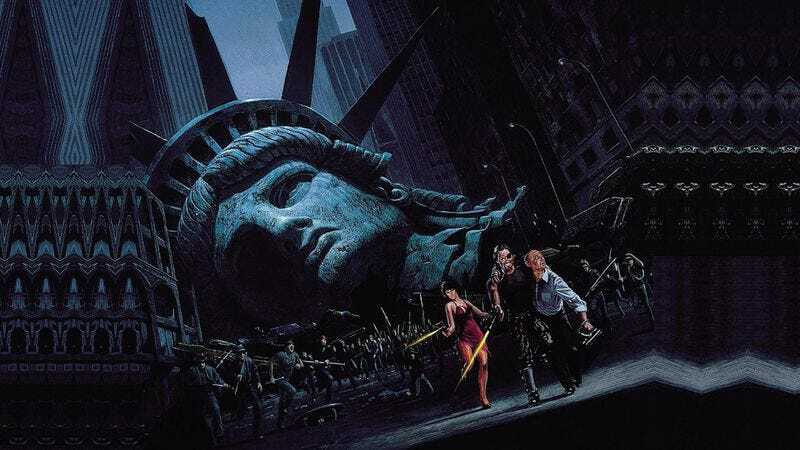 And even though it sounds a lot like Escape From New York, there are many ways to know that it is nothing like Escape From New York. The title, for example. The show, written by Dallas Buyers Club co-writer Craig Borten, is set in a United States where an overwhelming prison population leads the country to purchase Greenland—in the future, an obtainable spittoon for American cast-offs—and convert it into a prison colony, housing men and women together with the promise of limited freedom. That promise is soon broken, leading to inmates “driven to the edge of their humanity… struggling to seize control and exact revenge.” Again, note the lack of any character named Snake Plissken. It is very different. Given that there are no further details, we’re going to assume the show is actually a postmodern twist on the creation of original science fiction, with the prison society functioning as a metaphor for innovative writers under the thumb of networks who only want rehashed ideas, as well as variations on Mecha-Mega Pterodactyl Vs. Really Big Hedgehog But With Tentacles And Maybe It Shoots Lightning Bolts Also.